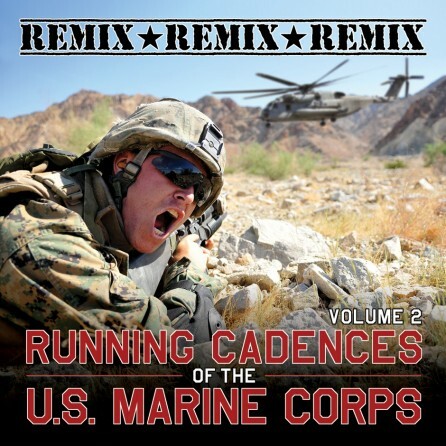 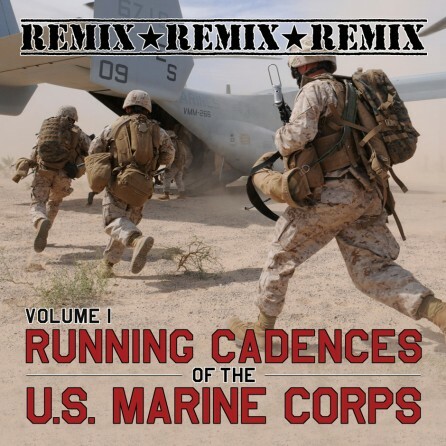 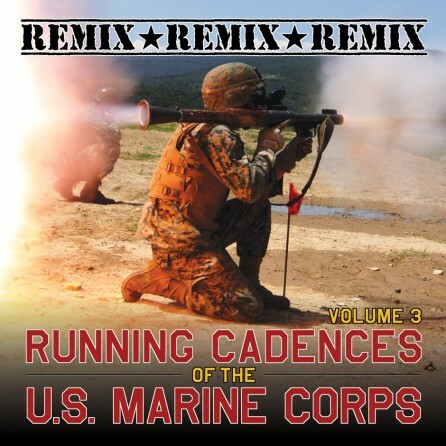 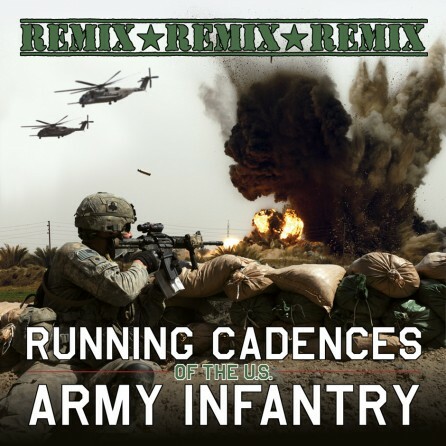 Documentary Recordings contacted Burning House about a website redesign to coincide with the release of a new product, musical remixes of military cadences. 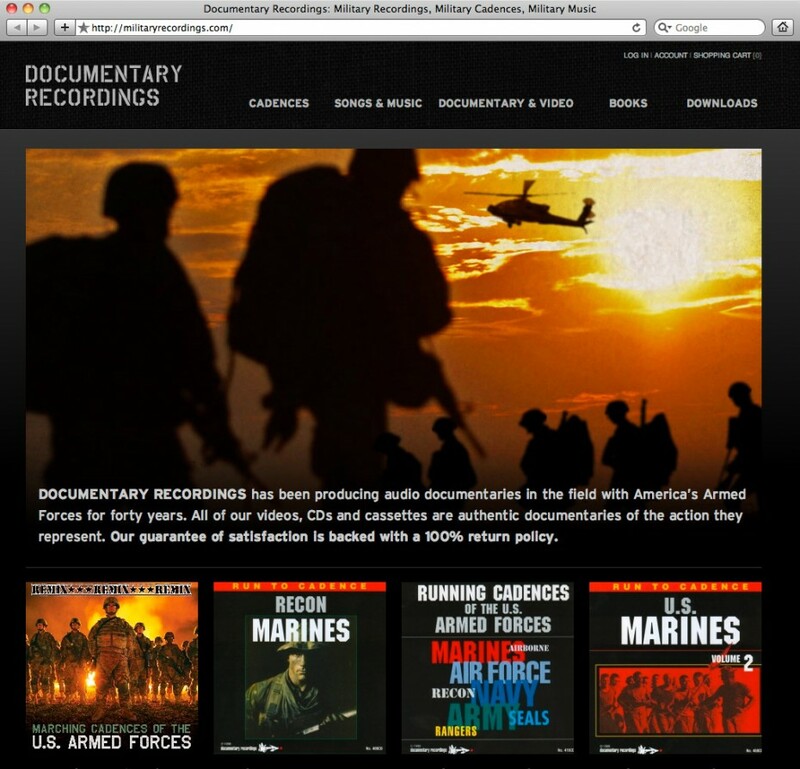 The website was designed to appeal to a younger demographic while also making the site browsing easier and more seductive. 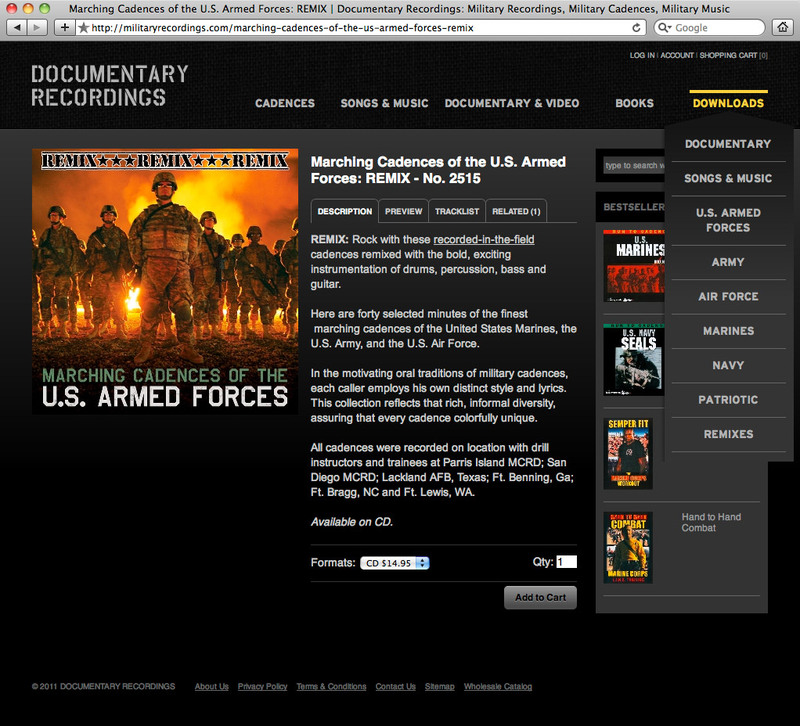 The site uses Opencart to handle the e-commerce, including both physical album sales and downloads.